Everything you need for your Heart health, we have all of it! The interventional cardiologists at HEART CARE Hospitals are well experienced in treating complex coronary and structural heart diseases. The Cardiac Catheterization Laboratory is one of the top in the country and our doctors are leaders in this technology. The state-of-the-art procedures and services offered include high-risk unprotected left main coronary artery stenting, transcatheter aortic valve replacement, paravalvular leak closure and hybrid procedures. HEART CARE Hospitals has one of the largest, most experienced cardiac surgery teams in the country. 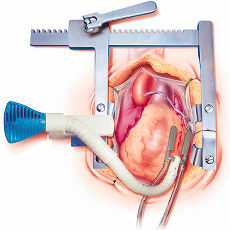 Cardiothoracic surgery refers to the treatment of diseases affecting the organs inside the chest (thorax), including conditions of the heart and lungs. The Center for Cardiothoracic Surgery is a Center of Excellence, which performs virtually every type of heart surgery and attracts thousands of patients from India and across the world. The Institute of Cardiac Sciences specializes in closed and open heart surgery, beating heart surgery and valve replacement. With a transplant theater and well-equipped ICUs, HEART CARE Hospitals has been consistently ensuring excellent outcomes. Pacemaker is implanted to treat bradycardia (an abnormally slow heart rate). 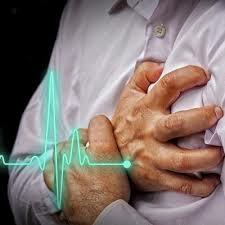 Pacemakers can also adjust the heart rate to meet the body's needs, whether during exercise or rest. Implantation of a pacemaker involves positioning leads (thin, insulated wires) in the heart and placing the device in a pocket of skin, usually in the shoulder area. Typically the implant procedure involves only local anesthetics and a sedative, rather than general anesthesia. 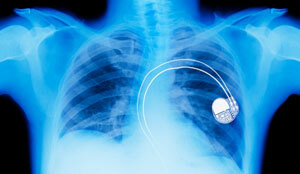 Most people have a fairly quick recovery after a pacemaker implant. HEART CARE Hospitals offers multiple preventive health check-up packages to detect and prevent heart disease at an early stage. The HEART CARE Hospitals’ Division of Electrophysiology, with its highly skilled team and advanced technology, is a one-stop centre for the treatment of arrhythmias. The team has enormous experience in all types of electrophysiology studies, radio frequency ablations, pacemaker implantation, other devices implantations and resynchronization therapy. HEART CARE Hospitals’ Cardiac Imaging Centre is a state-of-the-art facility where cardiac imaging specialists from radiology and cardiology work together to provide patients the most accurate and appropriate diagnostic medical imaging services. The Cardiac Imaging Center offers thorough and advanced imaging services. HEART CARE Hospitals was the first hospital in the country to perform a cardiac MRI. The Cardiac Rehabilitation Department at HEART CARE Hospitals offers a professionally supervised program to help patients recover from heart attacks, heart surgery and percutaneous coronary intervention (PCI) procedures, such as stenting and angioplasty. The Cardiac Rehabilitation Department provides education and counseling services to help heart patients increase physical fitness, reduce cardiac symptoms, improve general health and reduce the risk of future heart problems, including a heart attack.